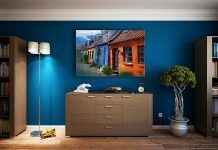 Roohome.com – For you who want to make your home looks luxurious, you may decorate it with awesome and perfect features decor in it. 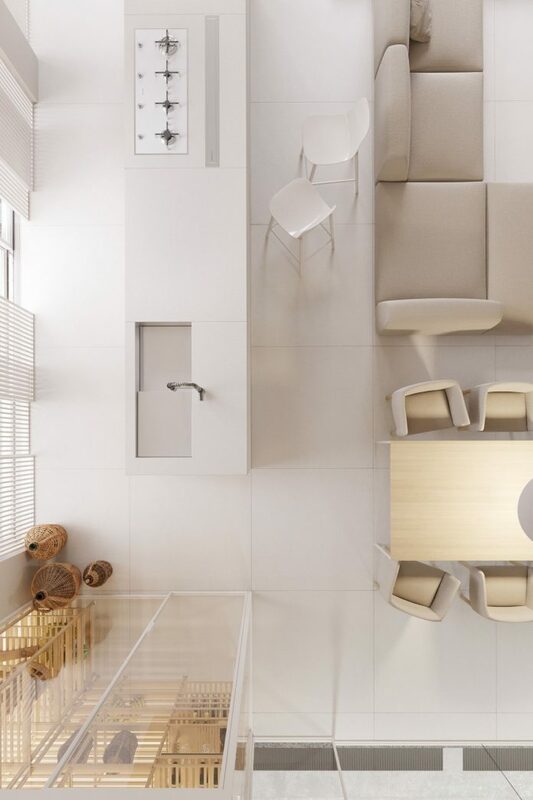 Here, Igor Sirotov offers white luxury house design which arranges with white color schemes as the main color. He creates a brilliant and creative idea to renovate this home. Besides that, each part of this house has been decorated and applied with a different concept design. That is why this home looks awesome and modern. 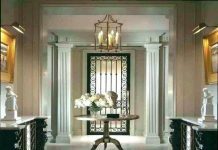 If you are curious to want to know how the designer arranging this, you may see the luxury white home decorating ideas below. You will see the details of this home design. Let’s take a peek here! 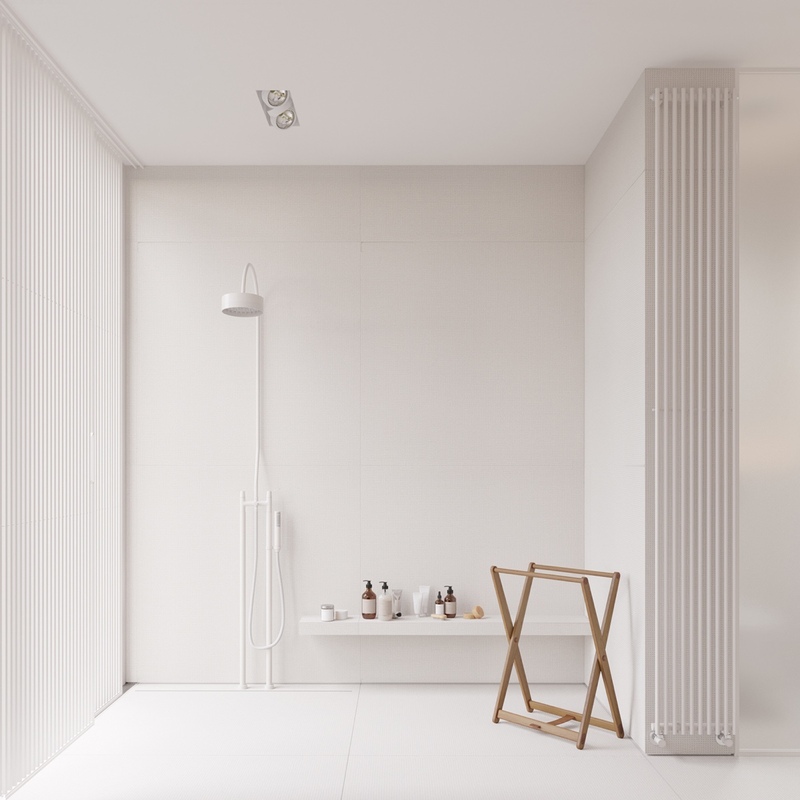 Surely if you want to renovate your home, you should think all of the parts of this home. Start from the living room part until the kitchen part. Here the designer has been given the best ideas to renovate the guest room into a luxury open plan living room design. Why he choose it? 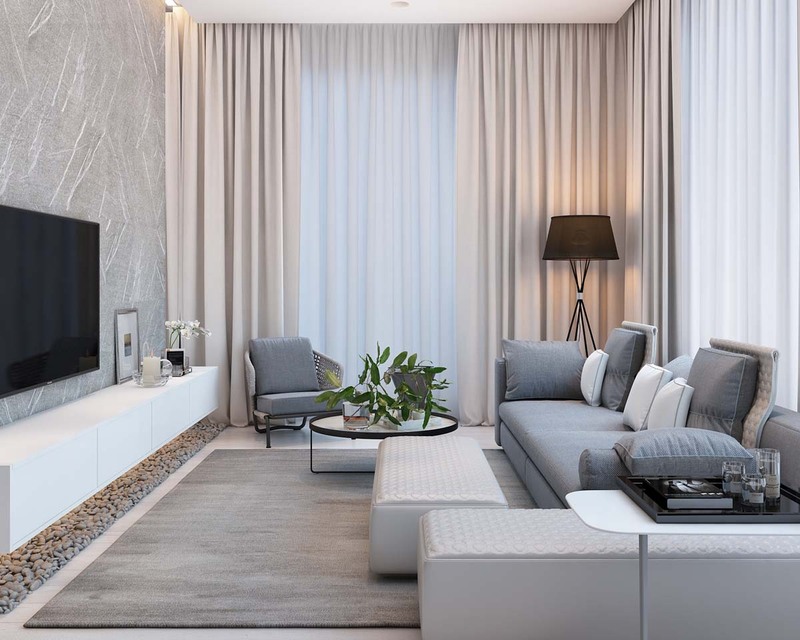 This is a smart idea to be followed, if you have a limited space at home, you may apply an open plan concept design as the suitable design to make it looks spacious. 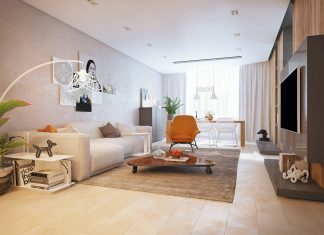 With this design, he applied for this luxury white home decorating ideas. 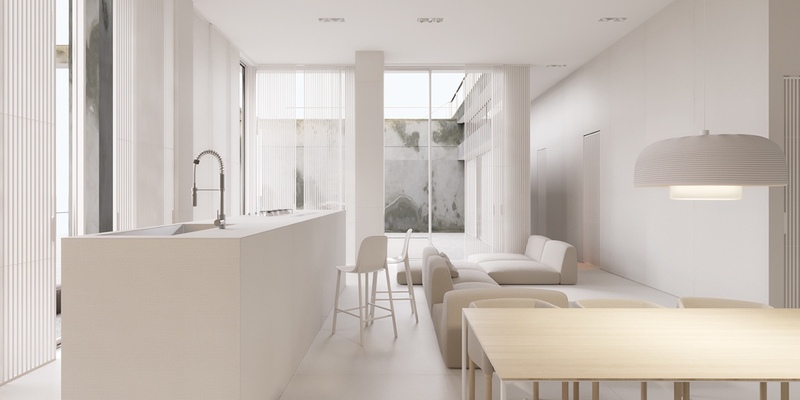 By applying with white color schemes, this house looks so luxurious and spacious. This color will bring out into a fabulous and attractive design. Completing with a modern feature in it, it also will make this house more perfect. For the next part, the designer arranging the bedroom into a minimalist design but it still can show a modernity and fashionable view inside. 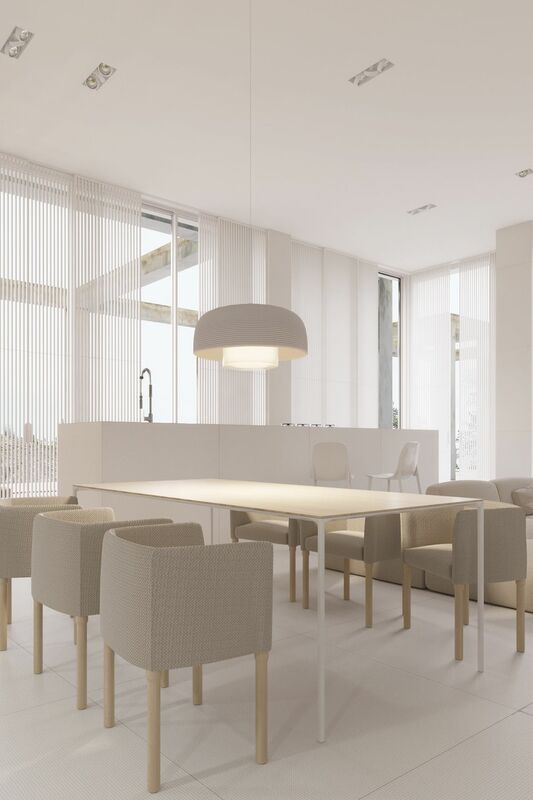 To support this design, he chooses a wooden and white color as the main decoration for this white luxury house design. He also completing this room with minimalist features start the bed, lighting and the other furniture in it. Applying with a white color here will make this bedroom looks neat and clean, so you will feel more comfortable. To make it more perfect, add a big mirror window to give a good lighting during the day. This room will get natural illumination from the sunbright. The designer uses a trellis as the divider between the bed and bathroom. 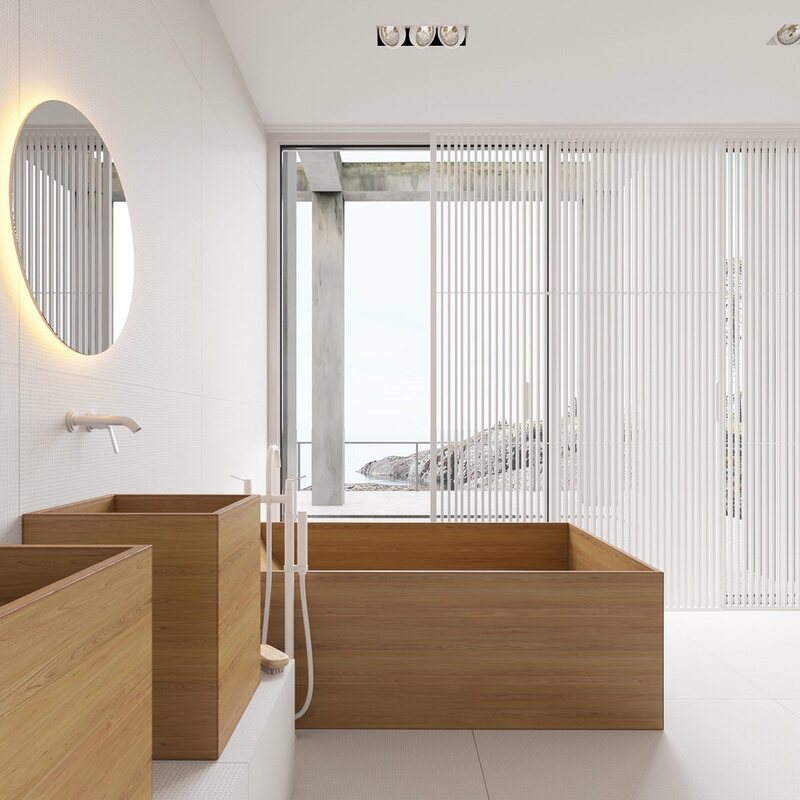 For the bathroom, you may arrange with minimalist features which use a wooden accent as the decoration. Then the last of this luxury white home decorating ideas here, you must think a perfect and awesome decoration to make this kitchen become more luxurious. For that, the designer chooses a modern design to be applied in this home. A modern kitchen set design like the following design below may you follow for renovate your kitchen at home. Adjust awesome features such the ornament that the designer applies in. Keep using a white color for the main decor of this kitchen. 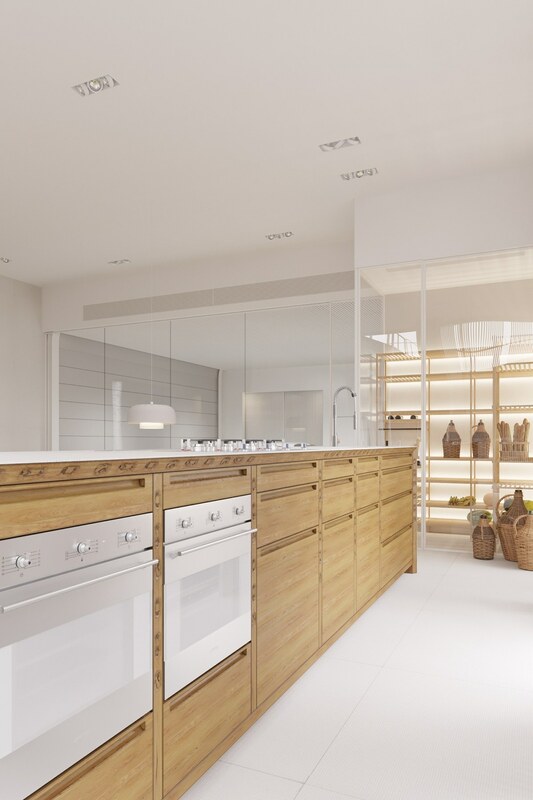 For the cabinet, choose a soft wooden model which can show a luxurious and expensive impression on it.